a B-side, "Put a little Love in your Heart" (feat. Guylaine, Juanita Brundidge, Kailah and Rapper Mick). Both feature the skills of music producer and musician Leon Haywood and were recorded at Leon Haywood's Sunnyside Recording Studios in Los Angeles, California. Stop fussin and fightin, we are the world, we are all One, reflections of each other "Tweet Song for World Peace"
Funds to manufacture, promote and market the single "What the world needs now is Love" We need funds to finish the album, pay producer, arrangements, recording studio, engineers, musicians, mixing, mastering, artwork, printing, manufacturing, promotions, marketing and distribution of One World 1 Love's new album. Thanks for taking time to read and consider our campaign. The funds are needed soon, we are getting request for the new CD. 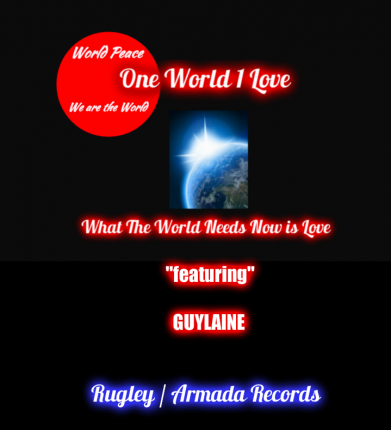 One World 1 Love, Your Help and Contributions will make the difference in reaching our goal of recording our album. The Lolo Jones Foundation's mission is to empower and inspire individuals who face the most socio-economical hardships to realize their full potential through engaging community programs and initiatives. The Lolo Jones Foundation seeks to use education as a tool against poverty to encourage others to live a life full of purpose despite hard-ships and/or setbacks. Hurdles of Hope is the signature program under The Lolo Jones Foundation that seeks to address barriers, and challenges of families with incarcerated loved one's. Through her personal experience and story, Lolo hopes to reach those individuals that are particularly vulnerable to the negative consequences that having an incarcerated loved one may bring. Through the foundation's mission, Lolo will educate and provide resources to individuals to overcome these barriers to inspire hope and change in the community. Our plan is to donate all of the net profits from the album sales to relief victims, we are giving "FREE" CD's of One World 1 Love (2) songs of Love with donations and "FREE" CD's of the artist 5Cent with donations,(Not 50 CENT) we had a successful run with 5Cent's project before he quit the business and became a DJ a radio in riverside,ca. Our project is valuable to you the contributor and to the world. Now and Forever. Life and Music is, One World 1 Love​!